To have a house to call your own is one of many goals why Overseas Filipino Workers (OFWs) choose to work abroad in spite of hardship and homesickness. To have a house for a family is also a reason why many Filipinos are working hard locally. A house is a symbol or product of our hard work. For those who are eager to have a house, aside from Pag-IBIG or SSS, there are banks who offer housing loan up to 25 years also like Metro Bank. 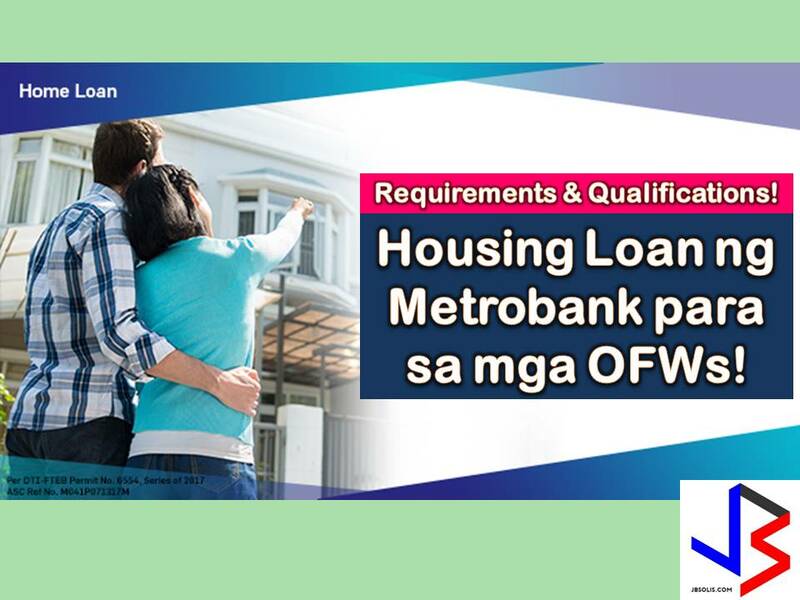 As OFWs or locally employed individuals, a common question comes into our mind about the home loan is, Am I qualified for a housing loan? Earning at least $1,000 for self-employed individuals (equivalent to Php30,000), or have the same Gross Monthly Family Income (GMFI) for fixed income earners. It will depend on interest fixing period. It refers to the length of time you want your interest rate to remain the same despite whatever movements the interest rate may experience in the future. Within the interest fixing period, if the interest rates move upwards, the interest rate on your loan will not be affected. The interest rate on your loan will only be reviewed and changed when the fixing period expires. The fixing period may likewise be defined as the period which would determine the repricing date of your loan. This post is not sponsored and we are not affiliated with the bank. If you are interested in this Home Loan Program, contact directly with the bank for more details. Interested applicant may apply online on this link.